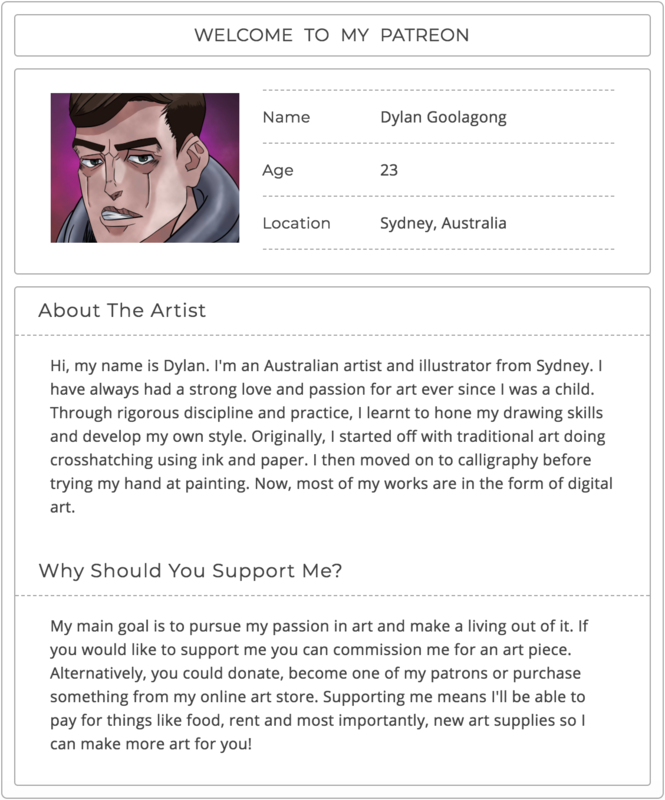 By pledging just $3, you're showing your support for not just me and my welfare, but also the artworks that I create! You get my eternal gratitude as well as access to the Patreon feed, where you can see regular updates on my art and comics as well as early access to my drawings, sketches and posts! Thank you so much! By pledging $5 you get access to my Patreon feed, where you can see regular updates on my art and comics, early access to my drawings, sketches and posts and any commissioned works by me are discounted by 15%! Thank you so much! By pledging $10 you get access to my Patreon feed, where you can see regular updates on my art and comics, early access to my drawings, sketches and posts, 25% off my commission prices as well as access to special and very exclusive artworks. To show my thanks I will be making custom photoshopped dank vaporwave dps for my pledges!